The emotion of despair can paralyse and debilitate even the strongest of souls. If there is one emotion that unites us, both penitent and confessor, saint or sinner, it is despair. I confess that I too have fallen victim to its power and influence on countless occasions. There were many instances where I too prayed for deliverance, even if it came in the form of death. More than just a sense of personal defeat, despair signifies for us the failure of God. Despair convinces our hearts that our circumstances are bigger than God’s all-encompassing power. Despair is used by Satan to cause us to doubt God’s goodness, fear God’s sovereign plan, and reject God’s promises which is the basis of hope. Despair immobilises our spirits making us feel drained over past events, pessimistic about future possibilities, and discouraged about our present conditions. In the First Reading, we find the great prophet Elijah in such a predicament as he experiences a similar despondency. Elijah fled Mt Carmel in fear because of the evil Queen Jezebel’s threats. When Elijah arrived at the broom tree, he was exhausted, depressed, and ready to die. What was to be a victory for God and Elijah over Baal and his prophets turned into Elijah fleeing for his life from Jezebel and her henchmen. On Mt Carmel, Elijah seizes the day and performs a miraculous victory over the 450 prophets of the pagan god Baal. But instead of a decisive victory over the forces of paganism, it would soon turn into a Pyrrhic one. Jezebel would seek revenge over the death and failure of her prophets. She hunts down Elijah with a vengeance. It is no wonder that the latter sinks into despair over Israel’s apostasy and his seeming failure to change the course of history and turn the event into God’s favour. Israel did not respond to Elijah’s call to revival. Elijah is distraught over their inaction and spiritual declension. Elijah is baffled by Israel’s lack of repentance after God mighty displays of power on Mt. Carmel. And so we find Elijah, of all places, in the middle of a desolate and unforgiving desert, huddled underneath a broom tree. Scared, frightened, disillusioned, depressed, broken and tired. I understand Elijah's "tired," I understand the weariness, the exhaustion of both mind and body, the point where we are so overcome by all that we've been through and all that lays ahead of us that we just feel like we'd rather lay down and die then to continue on another day. Elijah was totally vulnerable and exposed – exposed to the murderous whims of a madwoman, exposed to the heartbreaking “let-down” that always follows a pointless victory. 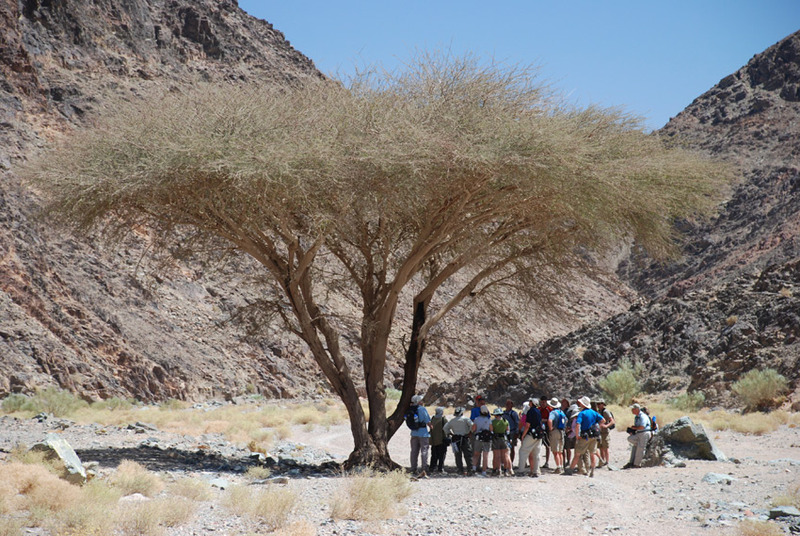 And perhaps most poignantly, as if to add insult to injury, exposed to the harsh elements of the desert – the wind, sun, heat and sand – because the broom tree in which he found himself under offered no protection from those sorts of things. None. That broom tree was more than a sorry excuse for shelter. It was a metaphor for the depths of his misery. And while it’s true that Elijah did some pretty powerful things in his time, here he now is – huddled in the fetal position under a broom tree, of all things, at the lowest point of his life. The good news is that the Lord knows when we're weary. He sees when we're coming to the end of ourselves, he knows when we've had all we can take and when we feel like we just can't go on, and it is in our weakest moments that He is His strongest. God comes to us when we are huddled beneath our own broom tree wishing for an end to our misery. He will send Angels in the form of friends and situations to minister to us, He will send ravens to feed us, He will hold us in His arms and, if necessary, He will pick us up and carry us to where we need to be. This is why we need to come to celebrate mass every Sunday and as frequent as possible. It is at the mass that we receive the life giving bread of Jesus, his own body, his own flesh given for the life of the world. It is at the mass that we come as broken people, sinners, people who have experienced failure and despair and on the brink of hopelessness in order that we may celebrate the power of the Paschal Mystery, where we may once again die with Christ in order that we may rise to life with Him. It is at the mass that we will receive nourishment for our hunger, strength for our weakness, hope for our despair, and consolation for our sorrow. It is at the mass that we can experience the renewal of our wounded spirits through the gift of the Spirit of God. It is at mass that we will receive the invitation given to Elijah under the broom tree, "Get up and eat, else the journey will be too long for you!" It is at the mass that we meet this God who draws us to himself and to Jesus. It is at the mass that we will receive new life, imperishable life, eternal life! Blessed John Paul gives us a beautiful paragraph in his encyclical letter entitled The Church Draws Her Life from the Eucharist (No. 60): "Every commitment to holiness, every activity aimed at carrying out the Church's mission, every work of pastoral planning, must draw the strength it needs from the Eucharistic mystery and in turn be directed to that mystery as its culmination. In the Eucharist we have Jesus, we have his redemptive sacrifice, we have his resurrection, we have the gift of the Holy Spirit, we have adoration, obedience and love of the Father. Were we to disregard the Eucharist, how could we overcome our own deficiency?" When life brings us trouble, like Elijah, it is not hard to imagine how we can easily get scared and discouraged. It’s important to remember that our relationship with God does not come with a guarantee of happiness and easy living. There will be days when you’ll find yourself “under a broom tree wishing you were dead.” As Jesus put it in his last supper with his disciples, “In this world you will have trouble…” All of us know that all too well. Fortunately, Jesus went on to finish that sentence by saying, “…but take heart, I have overcome the world!” (John 16:33) The Eucharist becomes for us the guarantee and proof of this certain hope. Every week, when we come to receive the Eucharistic Lord at communion, we hear this same promise, “Take heart, I have overcome the world!” In the Eucharist, we will find a remedy for despair, an antidote for hopelessness. In the Eucharist, we are asked to look beyond the hazy stormy days of our lives in order that we may gaze into eternity in the presence of God, an eternity waiting just beyond the storms of this life. In the Eucharist, we remember that we are indeed the beloved Children of God and that Christ has offered his life as an aromatic sacrifice for us. In the Eucharist, we will find the pleasant shade of the broom tree, a place of renewal, a place of rejuvenation, a place of healing, a place where we will be made whole once again!